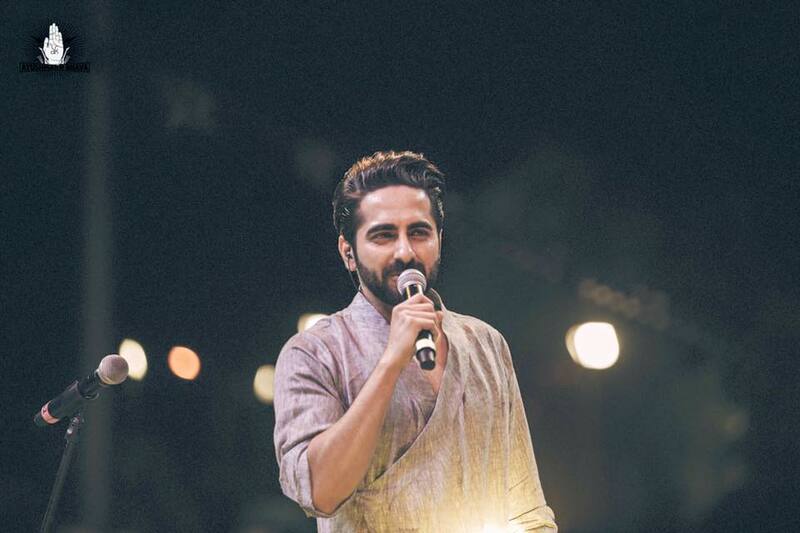 If you are a fan of the Bollywood celebrity Ayushmann Khurrana and want to catch him in live action, then it is at Bangalore where you need to be. He is expected to give a live performance for few hours in front of the young and vibrant Bangalore crowd. This actor is well known for his quick witted liners and dialogues and also can sing professionally his own written songs to capture the attention of the audience and make them dance to his tunes. Getting to know the details of the concert will be helpful to make sure that you do not miss out on the action. Venue: Manpho Convention Center Veerana Palya, Nagwara Ring Rd., Opposite BEL Corp. office, Bangalore – 560045. To ensure that you enjoy the concert thoroughly without any issue or worry, you need to abide by the following terms and conditions that you are applicable for. Along with a valid ticket, you need to carry valid ID proof like Driving License, Student Card, Pan Card, Voter Card or Aadhar Card, etc. HTE Media will not be held responsible for any type of damage or injury caused at the event. No permission will be given to enter the venue for those found in inebriated state. Those with student tickets are to mandatory bring along their student ID card. Alcohol at the event would be served to guests who are only above the LDA (legal drinking age). But it is necessary to display proper and valid age proof to avail this facility. There are few things that cannot be brought into the venue like ammunition and arms, beverages, eatables, alcohol and bottled water. Fresh and hygienic beverages and food are served inside the venue at reasonable rates. It will be useful to follow the rules to ensure that you and your friends and family members enjoy the live performance of Ayushmann Khurrana Live in Bangalore and also record it to show it to your friends and others. This particular event to be held this June is sure to leave you completely mesmerized and to enjoy it thoroughly. It is for the very first time that Ayushmann, the heartthrob, rock star, actor, composer, super talented singer, prolific performance and writer is visiting Bangalore city to perform live at a concert. Hence, you being a fan of this handsome Bollywood actor should not miss out on the melodious fun filled, highly energetic concert! Grab your tickets now to avoid later disappointments and missing out on live exciting action that this actor promises to his fans. Check out the web for more details and plan your program accordingly.